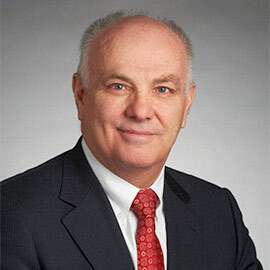 WATERLOO – Wilfrid Laurier University has appointed former Deloitte executive John Bowey as the new chair of the university’s Board of Governors. Bowey, who succeeds former chair Jamie Martin, took on the chair role July 1st. Bowey has served on the Laurier board as a community-at-large representative since 2011. Previously, he served as vice chair and chair of the audit and compliance committee, and as a member of the executive and governance, finance and investments and HR and compensation committees. He was also a member of the Laurier Senate. A retired partner, senior counsel and former chairman of the board of Deloitte Canada, Bowey enjoyed a 37-year career with Deloitte, where he held a number of leadership roles and served on Deloitte’s global board. Beyond his Laurier involvement, Bowey is currently vice-chairman of the board and chair of the special committee on demutualization at Economical Insurance, a member of the board and chair of the audit committee at Brick Brewing, and also serves on a number of private company boards. He is a former chairman of the board of the Princess Margaret Cancer Centre in Toronto and has served on the boards of a number of local charitable organizations including Cambridge Big Brothers, the Cambridge Family Crisis Shelter, Victoria Order of Nurses (VON), and the Sunbeam Centre. He holds a BA in Economics from Colby College in Maine, an MBA from Ivey Business School at Western University, and is a chartered accountant. He has been recognized as a Fellow of the Institute of Chartered Accountants of Ontario for his contributions to his profession and his community and has received his ICD.D designation from the Institute of Corporate Directors. Bowey succeeds outgoing chair Jamie Martin. Martin has been a member of Laurier’s Board of Governors since 2009 as a provincial appointee by order of the Lieutenant Governor in Council. He served as chair for two years and on all of the standing committees of the board and chaired the executive and governance, finance and investment, and nominations committees, as well as serving as a member of Senate. “I wish to thank Jamie for his leadership and dedication to Laurier, and I look forward to his continued contribution in his role as past-chair,” said Blouw.